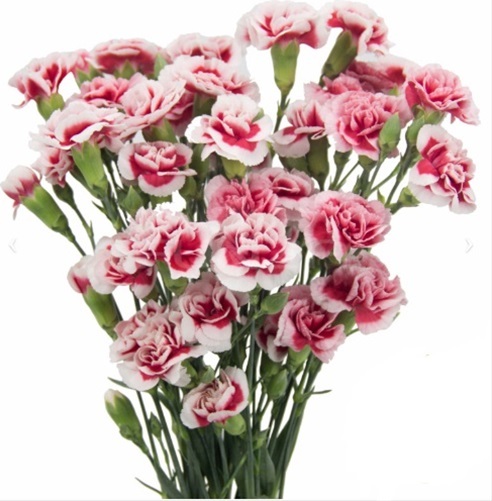 Make sure you know which grade you are buying , some farms ship minies with only 2 blooms per stem. Look for new novelty colours in a variety of interesting shades and 2 tone bi colours. Fancy Grade 55 cm+ , 38 blooms ,10 stem bunch. Leading Breeders (2010) S.B. Talee, Hilverda / Kooij & Zonen, and Barberet. 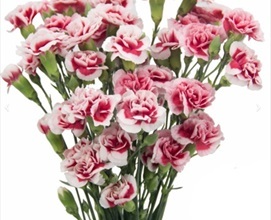 All miniature carnations must be STS treated. Assorted boxes should be packed 25% white , 25% light pink/dark pink , 25% red and 25% assorted novelties.